Chase Elliott remained a hot topic on social media throughout the 2014 NASCAR Nationwide Series season. The rookie driver of the No. 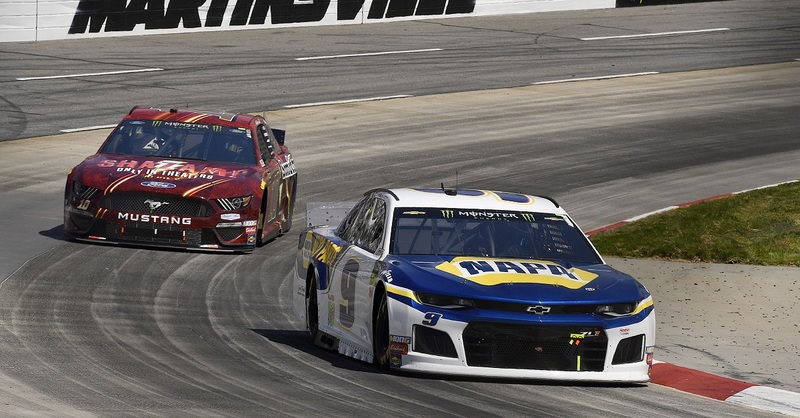 9 NAPA AUTO PARTS Chevrolet performed remarkably well early in the season even before racking up three wins and a strong lead in driver points. By the second-to-last race of the season at Phoenix, clinching the championship was within Chase’s sights. Chase didn’t win at Phoenix, but his fifth-place finish was enough to make his points lead insurmountable. Chase became the youngest driver and first rookie ever to win a NASCAR national series championship. At NAPA, we celebrated the moment with a fun video. Post by NAPA KNOW HOW. Even the parody Twitter feed @NASCARcasm got serious for a moment. Back in Chase Elliott’s home town in Georgia, folks at the famous Dawsonville Pool Room cheered on the new champ. No one becomes a championship all alone. Chase thanked those who worked hard to help him succeed. 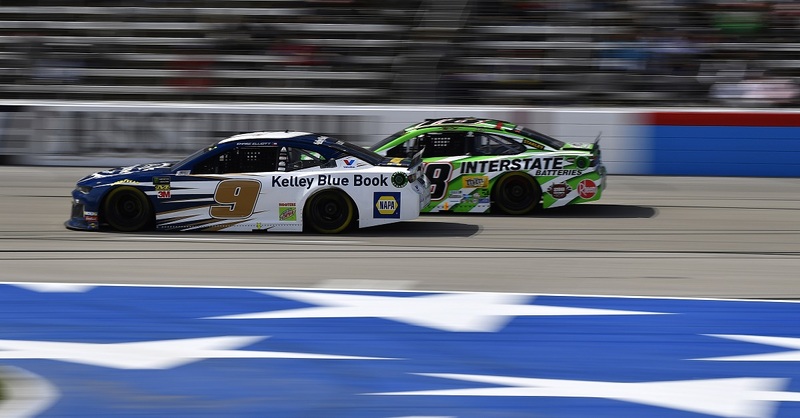 After the final race at Homestead, JR Motorsports team owner Dale Earnhardt Jr. was certainly happy with the rookie driver’s results. Chase delivered fans a message of gratitude, too. Elliot Mabe handles PR for Chase Elliott at JR Motorsports, so he gets an up-close view for all the action, including Chase hoisting his championship trophy high after the final race at Homestead. Meanwhile, NAPA shared a super-condensed, 15-second look at Chase’s entire 2014 Nationwide Series season. At the official award ceremony, the No. 9 team looked dapper and proud. Chase Elliott’s right hand got a little heavier that night. To put the icing on an already spectacular season, Chase won the NASCAR Nationwide Series Most Popular Driver award, too. He’s a champ. He’s a rookie. And now he’s popular too. 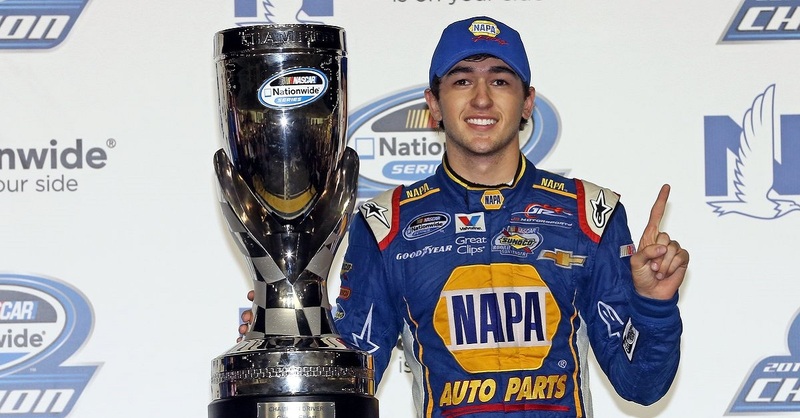 Chase Elliott takes all three top awards in @NASCAR_NNS. Never been done. Thanks for following NAPA Racing through the conclusion of Chase Elliott’s exciting rookie NASCAR season. If you’re just catching up, be sure to follow NAPA AUTO PARTS on Facebook and Twitter.